�Building plots for sale in beautiful area with fantastic views over valley, mountains, Saxon village. �Price: 25 �/sq.m buy now whilst prices are still cheap. �Planning permission granted for residential development only. �All services, water, electricity, gas and roads are close by. �Viewing visits can be arranged with cheap local accommodation and transport available. �Major retail development under construction 5 minutes drive away by Austrian developer. 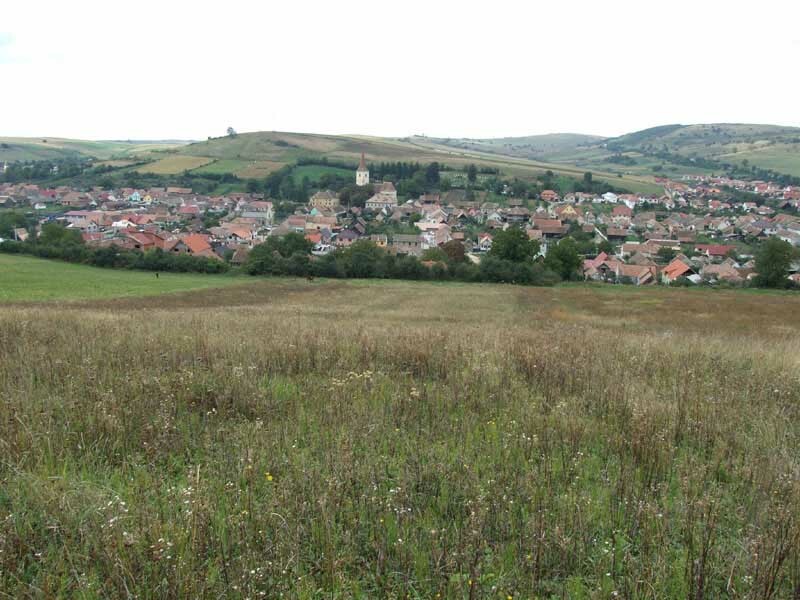 �Excellent property investment opportunity close to major city, Sibiu, 10-minutes away � European capital of culture 2007. Mayor is encouraging international investment. Land is still 10% the value of western prices. �Sibiu ring road is to be linked to the Transylvania super highway. �2h train journey to Brasov with excellent ski resort, Bran Castle and Peles Palace nearby. �New Sibiu international airport is 15 minutes drive with links to many major countries. 1h flight to Bucharest. �Romania joined the EU in 2007 and property prices have been the fastest growing in Europe. Romania`s economic growth rate is predicted at 5% for 2009. �Sibiu has a variety of excellent restaurants, hotels, international banks, shopping centres, museums, theatre and a spa resort. Also a good health care and cheap transport system. �Beautiful open air museum with lakes, traditional Romanian and Saxon houses. Prince Charles is investing in the area and is restoring local Saxon churches. �Excellent mountain walking, fishing, cycling, kayaking and off-road motorcycling locally available. �Nearby ski resort of Paltins (30min drive) has 3 ski slopes planed by international developer. �5 months of beautiful summer sunshine with clear, fresh winters, distinctive seasons and friendly people. �Very cheap telephone, Internet and TV facilities with excellent mobile phone coverage. �Excellent English and Romanian spoken to assist purchasers. �City has good supply of well-qualified notaries who can handle property transactions. We can provide lists of professionals.